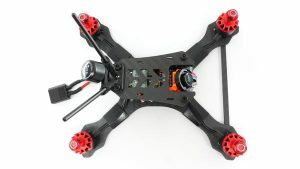 Here are some basic instructions and images I put together throughout my Catalyst Machineworks Superlight 4R build. I have thus far only done two test flights, but will report back on how fast this thing goes once I get to some real flight testing. I am hoping for 80mph+ speeds. 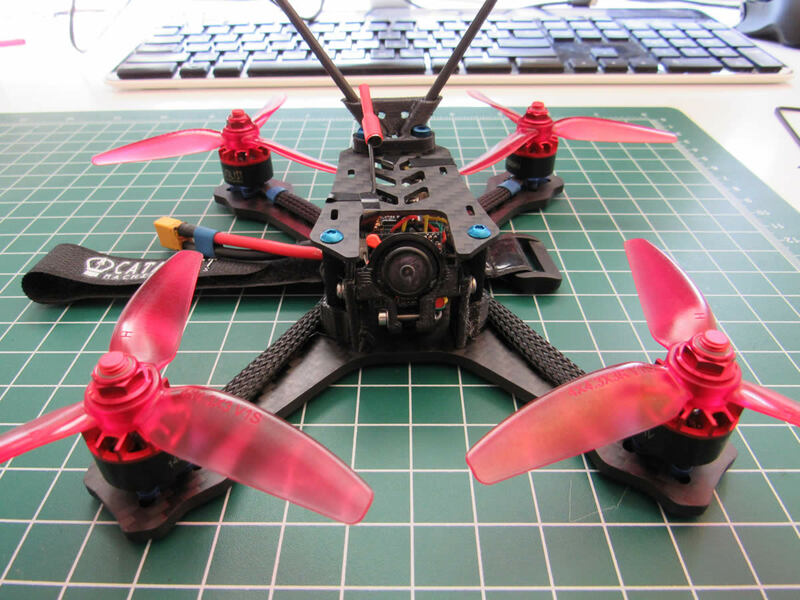 These instructions will help you to build your own FPV quadcopter from scratch, regardless of the type of frame. 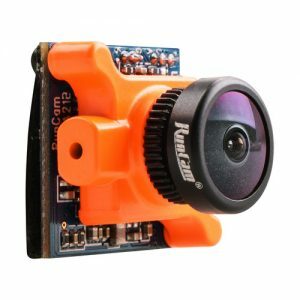 I will try to fill in more detailed instructions down the road, but these basic instructions will help you to build your own FPV quadcopter. Happy Racing! 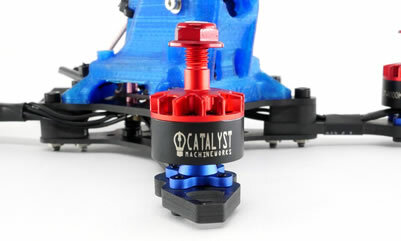 Huge shout out to Catalyst Machineworks despite a small hiccup concerning some missing pieces in my frame kit. They more than made up for it. Their customer service is top notch. I have an email thread going with them and they respond very quickly to my questions and queries. I will be buying the majority of my FPV Quadcopter parts from CM from this point on. I am 100% satisfied with what they have going on down in Texas! 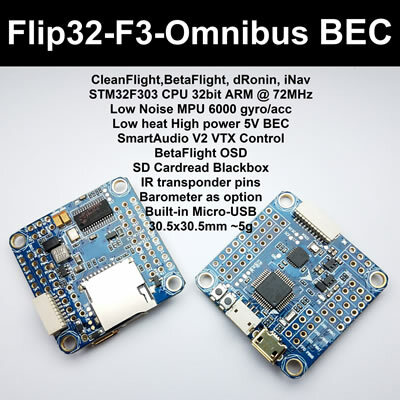 They sent me an F3 flight controller with a bad OSD chip. It cost me two weeks, and I was unable to contact them. I made three attempts to contact them. I believe they sell defective boards. Some of the images in this post are of an f3 board, the pin outs are the same. I have just about everything I need to start putting things together. Before I get ahead of myself, I plan on getting organized by staging parts in a compartmentalized box. This is a bit of a winter project, and I want to take my time. Yeah, right. Well, it's a plan anyway. *Kit was missing the aluminum standoffs, put a quick halt to my weekend project - CM sent out the standoffs immediately and I was back in business in a couple days! 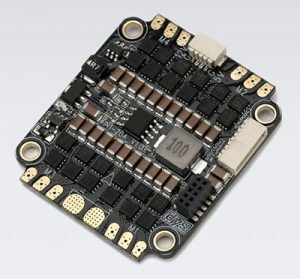 I am using an 4 in 1 ESC for this project. So much easier, and cleaner build wise. 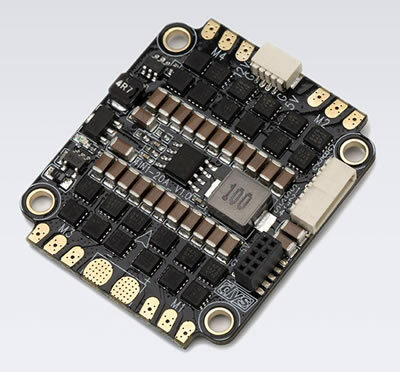 The only drawback to 4 in 1's is that if any one ESC on the board goes bad, you need to buy a new board. Such is life I suppose. 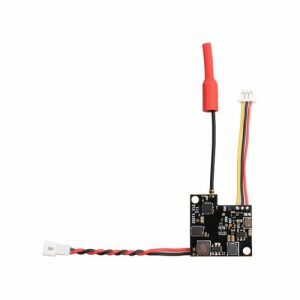 I opted to power the flight controller directly from the battery. I basically just cabbaged on to the batt in pads on the ESC board. This particular setup has 1m, 8pin JST plugs that made wiring the ESC to the flight controller a snap. I opted to go with a combo buzzer/led, pretty sweet! If you are using an F3 board, you can simply use the plug and wires that came with the R-XSR receiver. 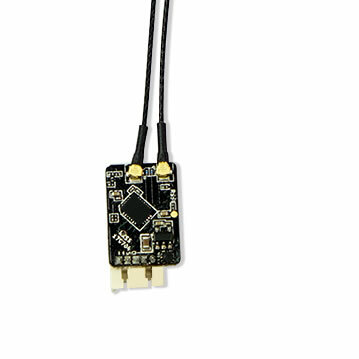 If you are using an F4 board, you will need to remove the yellow wire from the plug and solder it to the uninverted smart port pad on the R-XSR receiver. Mounting the cam is pretty easy work, I didn't bother adding instructions for that. I opted to put a small LC filter in line to the VTX gear. 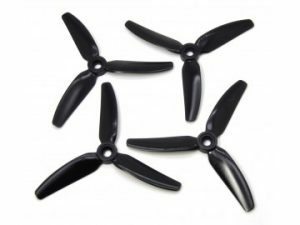 I am not including any Betaflight configuration steps here. I set up this build with all the bells and whistles however! 04 March 2018 - Wired up second board, maiden flight success!